This morning we went to the Bird Market next to the Notre Dame Cathedral. On Sundays, the year-round flower market on the Ile de la Cité is transformed into a bird market. 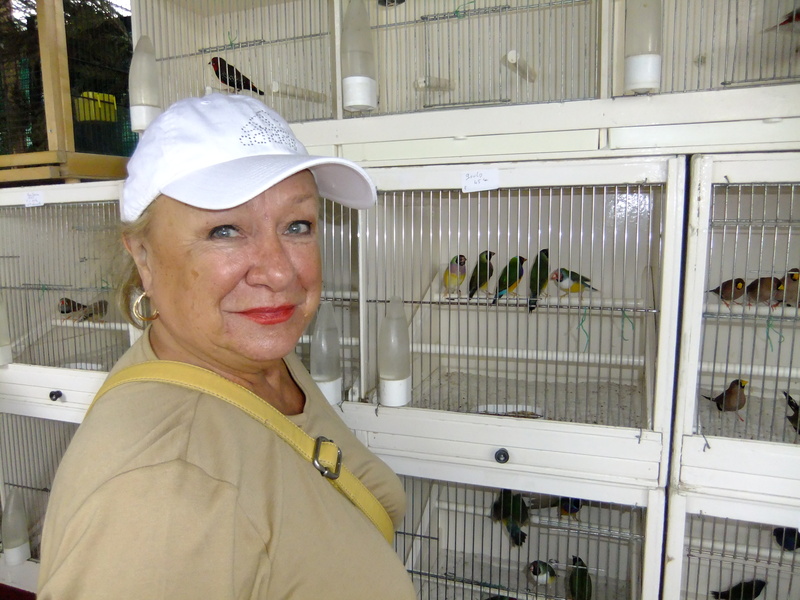 There are cages of parakeets, canaries, and masses of other brilliantly coloured species, plus lots of cages for sale too for those who lose their heart to a twittering friend. It was great fun to see pigeons from the neighbourhood come in and steal whatever seed they could from the exposed bags much to the frustration of the sellers. While we were there we visited the Notre Dame Cathedral. A Mass was going on as tourist made a ‘u’ shaped journey around the outside silently to take this great Cathedral in. To be honest it wouldn’t hold a candle to churches in Italy. If fact even the small churches in Palermo would artistically put this cold sullen cathedral to shame. At one point I stopped and listened to the homely given by the priest and it reminded me of the many times when in Quebec I would attend a service to please my in laws. I almost fell asleep even without the warming winter coat I would be wearing at a service in Quebec. Next we took a taxi to Paris’ largest flea market. The century-old labyrinth of alleyways holds more than two thousand open and covered market stalls. It is made up of half a dozen markets grouped together and between them they sell practically anything you could possibly want. The Marché aux Puce is packed with antiques and junk stalls, musical instruments, fine china, lead soldiers, uniforms from the First World War. You name it, it’s here. Near the entrance to the market two dozen Arab hawkers were standing there with 10 watches in each arm, or fists full of sunglasses or small statues of the Eiffel tower. They accosted everyone who came along. It gave the whole area a felling of an Arab market. All of sudden one hawker started to run yelling at the others. Soon all fled like pigeons if one were to stamp your foot and make loud gestures. What could have caused it? I looked backwards over my shoulder and two police officers were advancing. I guess selling in this manner is illegal. We visited two parts of the market. The Flea Market and the Antique Market. The Flea market reminded me of the large one in Ft Lauderdale minus the elephants. The usual running shoes, socks, dresses, jewellery, bongs etc. It also had a lot of African art. The Antique area is a rabbit warren of narrow alleyways. There is the usual junk that you wonder who would buy this crap and then there are some stalls that have unbelievable furniture, chandeliers, china, silver and antique doorknobs and keys. In one little corner we found a small restaurant holding about a 100 people. It was decorated like somebody had forgotten to take down the Christmas decorations. The feature and the reason for the full house was they had two mature song stresses that sang Eda Piaff. We went in to have lunch but it was hot, we were jammed chock a block to the next person and the service was slow, slow, slow. We left. We took a cab home and that evening went to a local restaurant the Café Central. Word was out the international food and service critic who was terrorizing wait staffs in Paris and possibly around so the service picked up and the food improved somewhat.